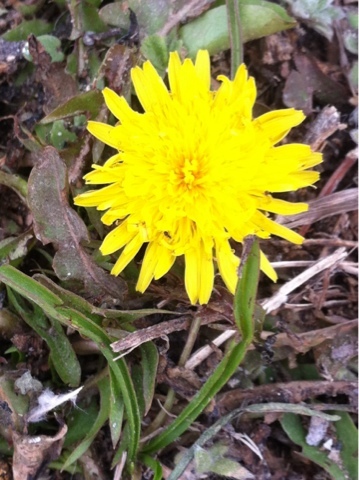 Today I took a walk and found a brave dandelion making its way into the world. I photographed this with my iPhone 4, believe it or not! I used the Camera+ app, which I've had for awhile but not used much. I'm pleased with the clarity and detail. I then pulled the picture into Picfx, another app I've owned for awhile but have neglected to utilize. I used the "Gutter" setting for this version of the photo. Here I used the "Distinct" setting. 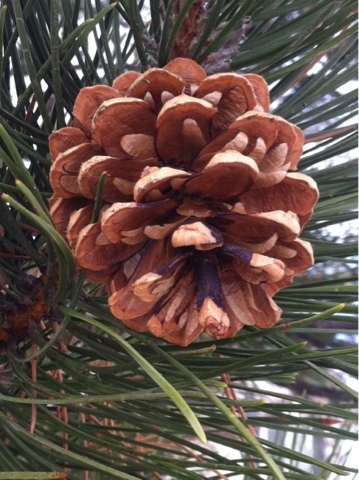 Then I found this cool pine cone. Again, I photographed my find with Camera+. And, again, I pulled my photo into Picfx. 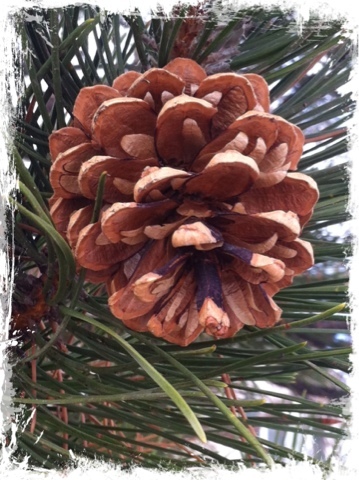 I used the "Scratch" frame setting to give the pinecone a snowy feel.